Home » Incometax » How NRI can get benefits of DTAA agreement of Taxation? DTAA is Double Tax Avoidance Agreement. DTAA is an agreement between two countries to avoid double taxation. It is globally known as a tax treaty. The term DTAA is a popular term known to most of the NRI’s. Most of the NRI has dual income, they earn in a foreign country as well as in India. In such cases, it is possible that income earned in one country would attract tax in another country also. This is called double taxation. E.g If you are moving abroad by keeping your income source in India. Such as fixed deposit, saving bank account etc. Taxes are applicable to these sources in India as well as the country of your residence. This is called double taxation. To avoid double taxation and to make the country attractive destination a concept of double tax avoidance agreement is developed. DTAA does not eliminate the amount of tax payable as a whole. It enables NRI to reduce the tax burden. In simple terms whenever NRIs earn an income in India, instead of normal TDS, tax rate decided under tax treaty DTAA is applicable. It helps NRI to reduce the tax burden. The tax rate applicable to this type of income would be taxed at the prescribed rate under the act. India has established DDTA with 80 foreign countries across the world. There are multiple benefits of DTAA. Few sure shot benefits are given below. The income types covered under double tax avoidance agreement are given below. Any income arising from capital gain on transfer of assets in India. Income from House property located in India. Salary Income received in India. Interest income earned in India from saving account, fixed deposit etc. Royalty income earned in India. Income from the service provider in India. In order to claim DTAA, NRI requires to provision Tax Residency Certificate (TRC). NRI will have to produce a Tax Residency Certificate from the country of residence. A foreign national claiming a relief under DTAA is required to make an application in the home country to its tax authorities or to other designated authorities to obtain TRC. Which methods NRI can use to avail DTAA benefits? Following methods can be used by NRI to claim DTAA benefits. Tax Credit method is used to claim benefit in the country of residence. In this method, a taxpayer needs to add all income from foreign sources into total taxable from the resident country and calculate applicable income tax. Based on the law applicable in that country a person can claim the tax credit. This method is claiming relief in any one country. In this method, a taxpayer is allowed to claim his income from foreign sources under tax exemption. It is a method to eliminate the complete scenario of double taxation. The third method is the deduction method in which the taxpayer pays the tax in the country where income is earned and get subtracted from the global income in the country of residence. The tax is calculated on the difference and paid in the country. This method does not eliminate double taxation completely, that’s why it is less popular method. 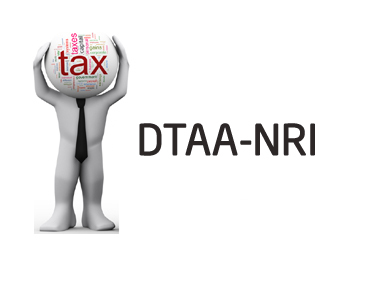 From the above discussion, it can be said that DTAA is very good tax planning tool for NRI. They can avoid multiple taxes and lower the tax burden. Note – DTAA tax rate are different for different countries. It is recommended to contact experts in this subject to claim benefits under double tax avoidance agreement.